Pauline and Terry migrated to Australia from Malta over forty years ago. Together, they overcame the obstacles that come with moving to a strange country, so far from your loved ones and comfort zone. To us, they show that love can give truly you strength. Abdullah: Could you guys introduce yourselves? Pauline: Um, not yet [laughs]. Abdullah: When and where were you born? Pauline: We was born in Malta. I was born in 1940, and he was born in 1930. Abdullah: Where were you guys born; whereabouts in Malta? Abdullah: Can you describe the place you spent your childhood? Pauline: Say something [laughs]. It’s a small village, close to the beach. And it’s a lovely spot in Malta. Abdullah: Can you describe one significant memory from your childhood? Pauline: Well, we love it because you can go out and – when we was kids, we used to go out and play, and there is no trouble that there is over here. Terry: It’s a small village. Pauline: You know, it’s very safe to leave the kids playing outside, and we used to go to the grandparents and aunt and uncles, you know, help them. That’s how it is. Abdullah: What about you, Terry, can you describe one significant memory from your childhood? Like, what do you remember most about being a kid? Terry: I remember when I was kids, you know, like I have a small – what’s called – a [small] place. And we try to play like soccer, and the police come, and once they put us in the courts. Because you’re not allowed to play that. And when we was there, we go to court, and we were only three. One stay outside, sit down, because he don’t know where’s the court, and the other one, he get in, and the judge said, “What for you come here?”. We said, “Because the police report us, we played the soccer”. And they said, “You go. Go home, go home” [laughs]. Abdullah: So how old were you, you were only three? Terry: No, I must’ve been about… around 15 or 20. Because we haven’t got [sport] grounds, you know, now they have everything. Abdullah: Is there a smell, taste, or image that takes you guys back to your childhoods? And can you describe that for me? Pauline: Oh, mum’s cooking. She used to be a very good cook. And we always – whatever she put on the table – we used to eat it. We never whinged we don’t like it or that. Terry: [Not many] varieties of food [laughs]. Abdullah: Do you remember one meal that your mum used to make? Pauline: Oh. Oh, we used to love the baked macaroni. And it’s beautiful, you know. Abdullah: Where do you guys live now? Abdullah: Where do you guys live now, what area? Pauline: Ah, we live in Kingsgrove. Abdullah: Does the place that you live now feel like home? Pauline and Terry: Oh, oh yes. Abdullah: What does home mean to you? Pauline: Well, home means, um… we got a comfortable house in a good area, you know, good neighbours. Pauline: And we like it very much. Terry: We live in [Kingsrove] over forty years. Terry: We bought that place, and then we stayed there. Abdullah: When did you guys come to Australia? Pauline: In 1965. The end of ‘65. Terry: The end of ‘65. When six months after, they change the money. They – instead of pounds, they do it dollars. Abdullah: What dreams did you have for your future when you were younger, how achievable did you feel those dreams were, and what dreams do you have for your future now? Pauline: Well, for the future we was always working hard to pay the house. That was the main issue for us, you know, and then we have the family. We had my son, he’s married, and we have one granddaughter, and two grand-grandchildren. Terry: One [is] four and one [is] one. Abdullah: When you guys were little kids – like you, Terry – what did you dream about? What did you really want to do, what kind of job did you wanna have when you were young? Abdullah: Yeah, when you were a kid, what job did you want? Like did you want to be like a soccer player? Abdullah: What did you want to work as when you were a kid? What did you guys want to work as? Pauline: Well, myself, I never worked in Malta. But in here I was work as a machinist. Terry: I sell it too, the clothes. For charities [laughs]. Abdullah: What does strength mean to you? Abdullah: When you see something strong, what is it – what do you think of when you see the word strong? Do you think of a strong person, strong mind? Pauline: Well, strong person and strong mind. I don’t know. Abdullah: OK, what’s the hardest thing you’ve had to overcome? What’s the hardest thing you guys have had to go through? Pauline and Terry: “You never come and see me”. Abdullah: How did you go, what was that experience like, losing your father? Pauline: It’s very hard when you lose your parents, you know, it’s very hard. Terry: Of course, yeah yeah. Pauline and Terry: Accept it. Abdullah: How did you turn the death of your father into a personal strength? What did you learn from it? Terry: What I learn from him? Abdullah: What did you learn from the death of your father? Pauline: Well, to be more responsible, and look more after the family. Terry: And he used to, my father – when he was single, he been in Australia. Maybe was 18, you know. And that days they work in Broken Hill, in – what’s called – the mines, you know? For coal and that. But in Broken Hill. Abdullah: Who used to work in Broken Hill? Abdullah: Oh, so your father was in Australia? Terry: When he was 18, yeah. Abdullah: And he went back to Malta? Terry: Yeah, yeah. Maybe make two years, and after that maybe married, you know. Terry: And he used to play the band, you know, the trumpet. And after 65, he pass away. Abdullah: What is a quality that you guys love about yourselves? What’s something that you really love about yourselves, or the two of you? What do you love about Terry the most, Pauline? Pauline: He’s a good worker, that’s all I can say. He’s a good worker. Good husband, too. Terry: We work hard too, when we here, you know. Abdullah: What do you love most about Pauline, Terry? Abdullah: What’s your favourite dish that she makes? What’s your favourite meal that she makes? Terry: Oh, like winter time, like minestrone, you know? Abdullah: If you have one piece of advice for you as a kid, what would that be? So if you had your 15-year-old self sitting at the other end of the table, what advice would you give him, or her? Pauline: Come on, you say something. Terry: I don’t know what to say [laughs]. Pauline: Well, if I had a kid like that, I would tell him: “Work hard, study, and have a good job. And save your money”. Abdullah: What does freedom mean to both of you, and how do you guys express this freedom? What does it mean to be free, for you? Pauline: To be free is, you know, to be happy. Terry: You go bowling. I go every Wednesday and Saturday. I been about 17 years playing bowling, you know, and I used to be involved with the Bowling Club. Abdullah: What kind of bowling, lawn bowling? 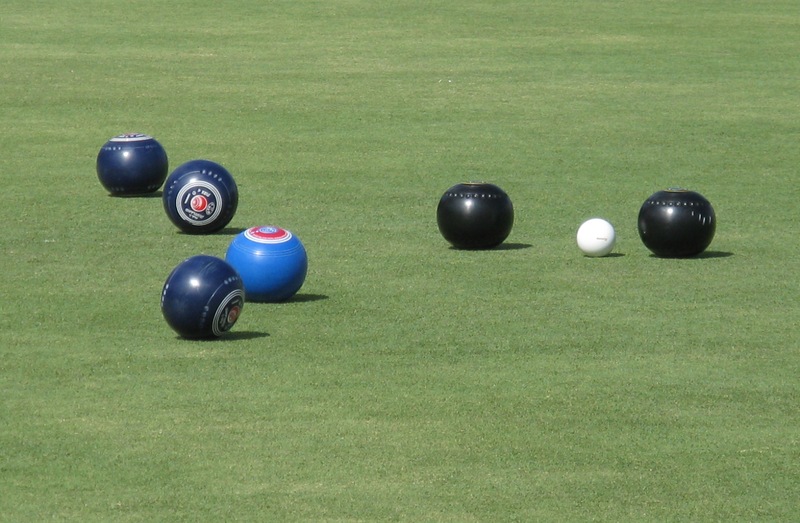 Pauline and Terry: Lawn Bowls. Terry: Outside, you know. And, I used to be on the board for 13 years, but now I said that’s it. I still have, you know, this and that, but… [claps his hands together]. Abdullah: So, you grew up in WWII, yeah? Abdullah: So growing up in WWII you wouldn’t have had much freedom. You couldn’t go outside all the time because of the bombings, you couldn’t have played outside because you wouldn’t know what would happen. So, being in Australia, being free, being able to go outside without being in danger of anything… how does it feel to be so free compared to your life back in Malta? Terry: It’s different, you know, because here it’s a different country and that. And when we come to Australia we live in the city, and there is like different people, you know. Especially like Aborigine, and this and that, you know, used to be in the pub and that. And you go – you pass them, and they say something. Because they don’t know the people, you know. And we used to have, [Pauline’s] brother he said, “Don’t say nothing when we pass here, because they go out, they be drunk and this and that. That’s what it is”. Abdullah :What advice can you share with others who may be going through similar experiences that you have had to overcome? And how can you help others recognise their inner strength? Pauline: Well, the advice from me is you have to work hard, be kind to everybody, and if you can help, you should help other people too. Pauline: Any kind of people, which be Aborigine, Australian, African, whatever, you know. Pauline: If you can help, you should help. Terry: Help out everybody, you know.